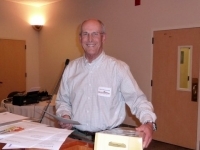 Steve is the driving force behind the organization; he is a San Jose resident of 25 years and an avid fisherman who envisions a vibrant environment for Steelhead trout and Chinook salmon in our local streams. Steve has been married for 30 years and is the father of two college students. Previously, he was a successful business owner and sales executive. Chuck is a longtime Flycaster's executive, who joined the SBCCC and the Biology Team in 2013 and the Biology Team with the goal of restoring habitat for steelhead and other wildlife by helping us restore the South Bay waterways. 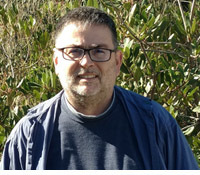 Rick manages our Biology Team, which is focused on revitalization projects along the Los Gatos Creek and Guadalupe River. He has been a long-time resident of Los Gatos, and he has a background in high tech sales and commercial real estate finance and construction. Formerly an environmental lawyer at Earthjustice, Brian does legal and environmental policy consulting. Brian was elected to the Santa Clara Valley Water District Board from 2010-2014, and he is especially concerned with water and climate change issues related to open space protection. 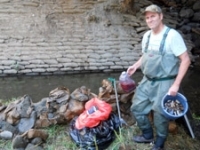 Brian Allee, Lead Fisheries Biologist - Dr. Brian Allee grew up in Oakland, California. He's attended UC Berkeley majoring in Zoology and he received his Ph.D. from the University of Washington in Fisheries. Dr. Allee has worked extensively in salmon research and promoted restoration and enhancement in freshwater, estuarine, and marine ecosystems in Alaska, Washington, and Oregon. Carol Szymkiewicz, Operations Manager - Carol has been with us for about two years and she is responsible for organizing, coordinating, and reporting on our cleanup activities. 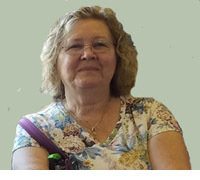 Prior to her involvement in SBCCC, she and her husband owned a successful website services business and she was also a Program Manager at Flextronics. 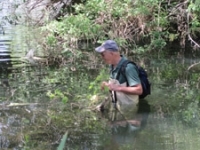 Stuart Richardson, Stream Leader - The restoration of urban streams, wetlands and other natural habitats has been a weekend passion for Stuart Richardson for over 30 years, which all began while he was tree-planting in high school. He brings weekend leadership to a number of nature-related projects. Away from nature, Stuart is a cleric and previously, Stuart was a public school teacher in bilingual and English studies. 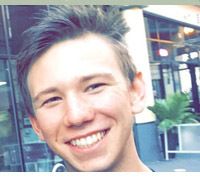 Philip Bair, Intern - Philip has been with SBCCC since late 2016, and he is one of two interns whose role includes serving as a team leader at cleanups and participating in community outreach events. He graduated from SJSU with a BA in Communication Studies in December 2017, and he is currently working as a programs assistant at Electronic Arts in Redwood City.